The best way to get diverse stories told and shown is to show them yourself. That includes creating the perfect platform for them. That is what Jim Farmer and many more are doing with Out on Film, Atlanta’s answer for an LGBT film festival. After this year’s event, Out on Film has been officially running for 28 years. Jim Farmer, the Festival Director, has been championing the event for seven years. Out on Film lasts for eight days, beginning Oct. 1 and ending on Oct. 8. 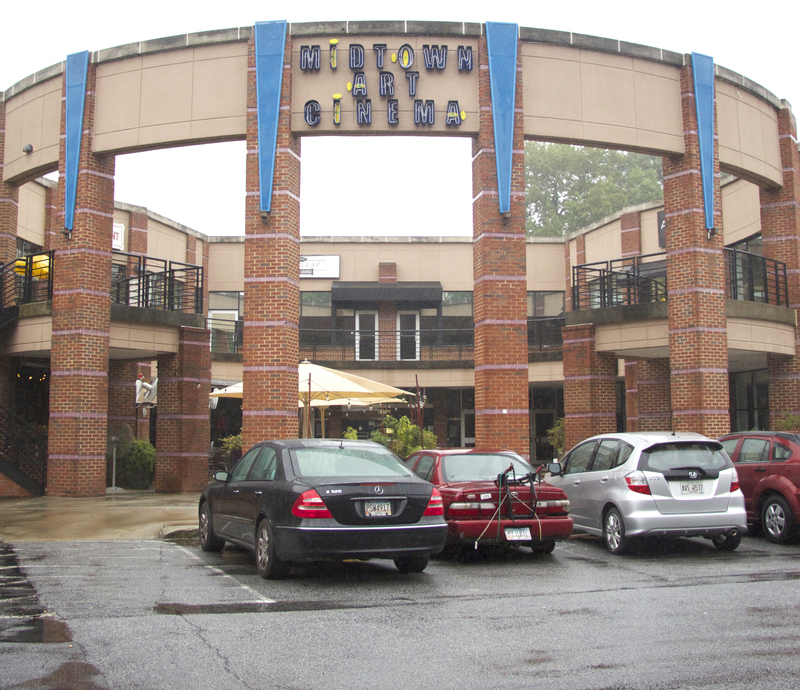 The occasion is held at Landmark Midtown Art Cinema. Last year’s festival received more than 8,000 patrons and this year, they are hoping for around 10,000 attendees. “We aim to get better at what we do each year, reach more people, have more films and filmmakers present,” Farmer said. Along with the films, comes networking festivities for the entire week. Before and after screenings there are opportunities to meet some of the directors, actors and actresses. There are free noontime short films, extra matinees and guests every day of the event. While the event is a secure place for the LGBTQ community, in no way is it not encouraged and celebrated by people who don’t fall in that group. The reasonings for Out On Film and other LGBT film festivals exist are for greater causes than simply being considered a separate category. Jonathan Shapero is a regular at Out On Film and keeps on coming back every year. “I return because of the great films I can’t see in mainstream theatres and the ability to see those films with an LGBT audience,” Shapero said. The experience of watching the films are powerful enough. However, the camaraderie attending Out on Film remains a reason it can touch many people. This year, Out on FIlm is showing close to a 100 projects. The genres span from narrative feature films to documentaries and short films. Each year the submission process begins in Jan. and films are taken through July. In August, the films are evaluated and a schedule is made. “With a festival dedicated to showcasing the different stories of the LGBTQ experience, the complexity shows the audience how all-inclusive the community is,” Farmer said. “Fourth Man Out” is the opening film with actor Evan Todd to be in attendance and an after party at Mixx Atlanta. “The Guy With The Knife” traces the unlikely kinship between a noteworthy gay rights activist and a convinced gay-bash murderer. The film deals with gay rights, victim’s rights, prisoner’s rights all in the state of Texas. In the middle of accosting his unfaithful boyfriend, Dusty blacks out. After waking up, the boyfriend has been murdered and the best lead is him. The cast includes: Gale Harold from “Queer as Folk”, Van Hansis, Brianna Brown, Jai Rodriguez. “Proxy” will be debuted at the festival. “Proxy” is directed and written by Brandon Deyette, who is a Georgia State alum. “Proxy” tells the story of of eight people becoming connected through the choices one man makes. The film is inspired by the Danish Dogme 95 movement, choosing different elements to strip down the script to its most basic and convey the story in its most complex form, still allowing it to be relatable to the audience. It was Deyette’s time at Georgia State that formulated his method of filmmaking when he was introduced to Dogme 95 Films. Deyette’s experience through the program aided him in his day to life more than originally thought. Even for things as simple as a lighting mix-up. Making art is hard. Especially when you are amidst your college years and maybe working. However, according to Deyette, consistently working is one of the most essential efforts to make as an artist. Individual film tickets are being sold for $11. All-Access Passes are available for $150, with a VIP membership for $200.